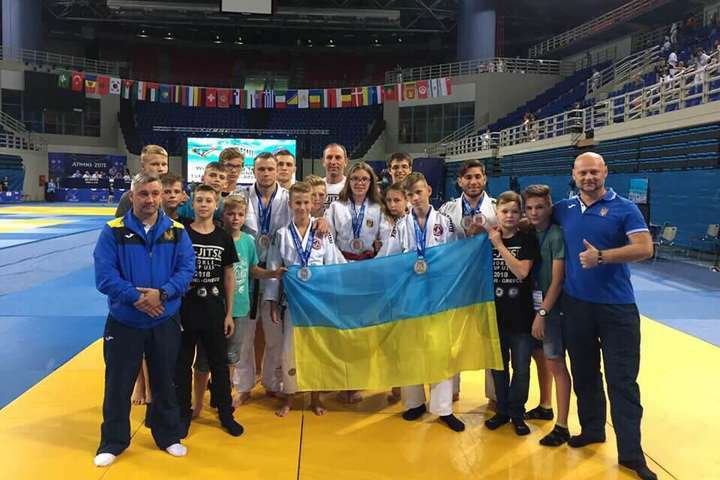 Jiu-jitsu.News: Ukrainian fighters at the international championships! Two jiu-jitsu championships, the “World Cup” and the “Balkans Cup”, were held in Greece. The international competitions gathered about 1100 sportsmen from 35 countries. There were 16 fighters from Ukraine among them. Thus, Ukrainian athletes received victorious one silver and two bronze medals at the “World Cup”. Yaroslav Vorobyov performed in the “Fighting system” discipline and took silver medal at the “World Cup” tournament. In turn, Diana Skripnyuk and Vladislav Zemskoi received bronze medals in the “Fighting system” and “Ne Waza system” disciplines. In addition, sportsmen managed to win four bronze medals at the “Balkans Cup” open championship. Konstantin Koval and Ivan Nastenko won bronze awards of the tournament in the “Fighting” and “Ne Waza system” categories.